In Part 1, I demonstrated how you could alter the theme and panel layout of XFCE to mimic the appearance of a Chromebook/ChromeOS. If you followed that tutorial, then you will have pulled some Google Apps down and created a transparent toolbar and dock. It's nearly there, but not quite. First of all, the icons on the dock are too close together. Secondly, if you look closely at a ChromeOS screenshot, you can see that the docks 'float' a little off the bottom of the screen. Finally, I have never been happy with the launcher icon, so let's fix that too! 1. Add spacing to the launchers. 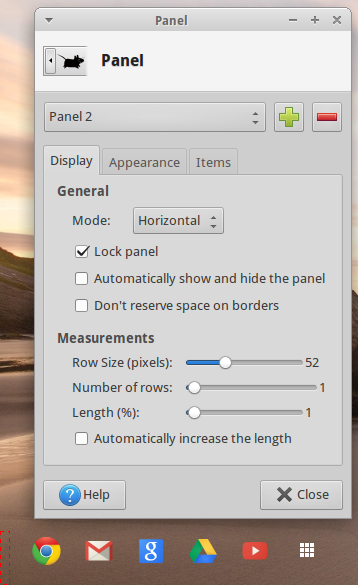 It's a bit of shame that the XFCE panel doesn't have an icon padding setting. That would make this a lot easier! If you don't intend to add any other panel icons, you can reduce the length of the panel at this point. 2. Get the new and improved app launcher icon. Since the new icon is pure white with transparency, it is impossible to see it on this page, so right-click on this link (and choose save link as...) to grab the new and improved launcher icon. Save it your home directory somewhere. 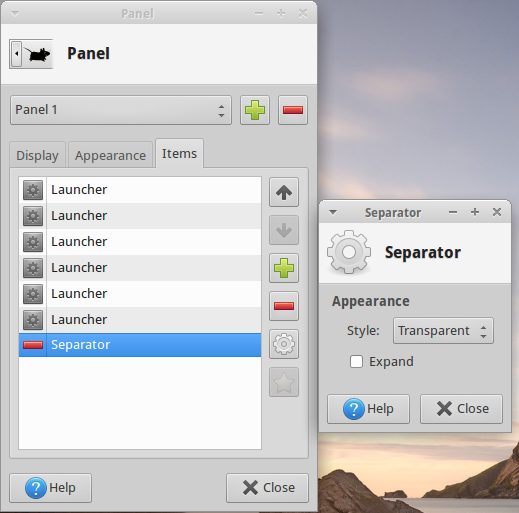 Still in the Panel Preferences dialog, select the last Launcher in the list. Click on the cog to configure it. Then choose the pen icon (at least in Xubuntu) to edit the currently selected item. Click on the current icon and then browse to the new one. Lock the dock and repeat with the notification panel. Real ChromeOS has a nice button on the notification panel that shows the user account picture and allows for user switching or logging off. You may wish to add a transparent separator before this. Position it at the right-hand edge, just before the Windows Menu. As you will be spending all your time in Chrome itself, you need the Chrome theme to look the part. I can highly recommend the Mac OS X Magic Theme 2 Transparent. 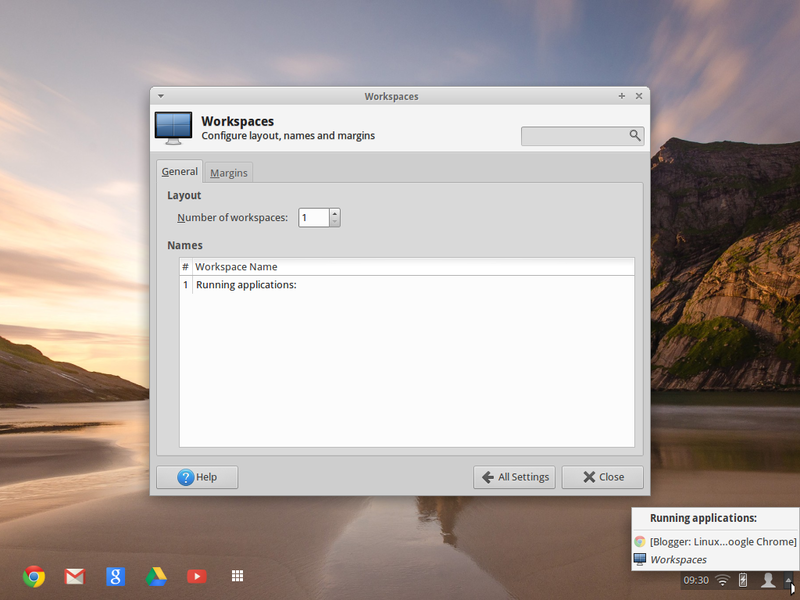 And if I do say so myself, the final result is very close to the ChromeOS look! Great guide man! Is there a way now to make this Chrome OS layout the default for all users or a quick way to import this as other users? Sorry, there is no quick way unless you script it.